So with summer, I’ll confess I’ve been outside grilling a whole lot more than inside cooking…or baking. But the kids? They want to bake, cook, etc. 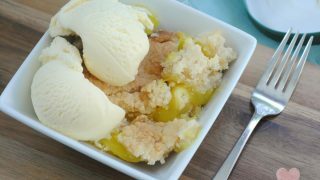 The Instant Pot we love so much all year round has been almost neglected of late, and we thought we’d try something new in it. 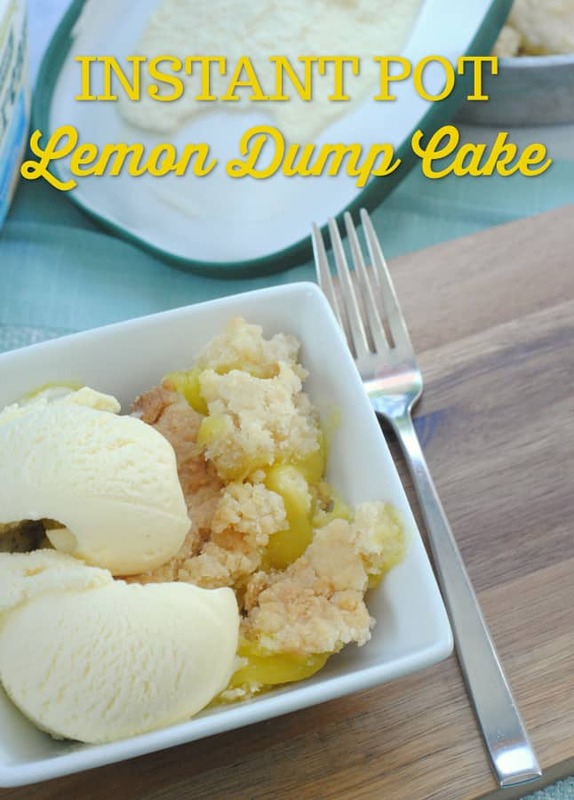 That’s where this lemon dump cake recipe came from- a little of the kids asking, and a little of the need to give our IP some loving. Fall sports begin Monday, so we’re jumping back into the chaos of the new school year schedule with both feet before school even starts. The IP will be in frequent use to keep our dinner routines on schedule for sure! Try our Instant Pot French Dip Sandwiches , BBQ Pulled Pork, Potato Corn Chowder, Cajun Sausage and Rice Dish and our Chicken Chili for some great pressure cooker dinner recipe ideas. 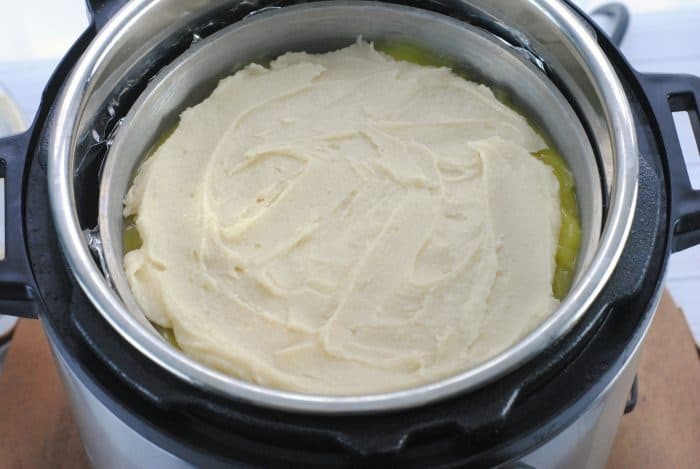 In the meantime, this instant pot dump cake is really easy, just a few ingredients, and so yummy! Surprise the family with it tonight! Gently wrap the bottom of the spring form pan with tin foil. 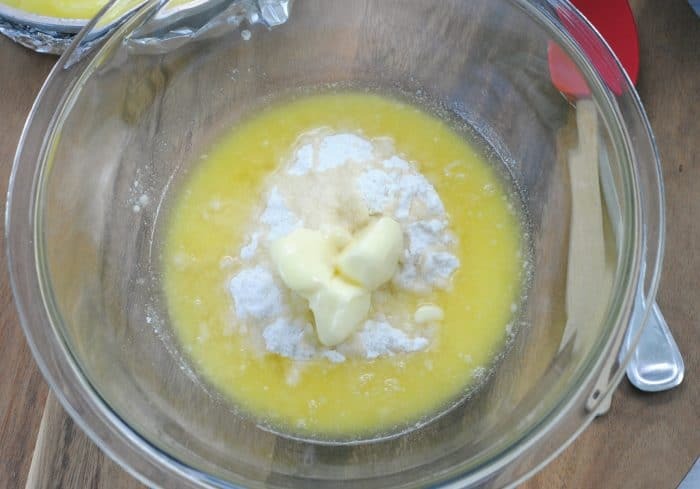 Combine the melted butter and 1/2 of the cake mix. Spread the lemon pie filling on the bottom of the spring form pan. 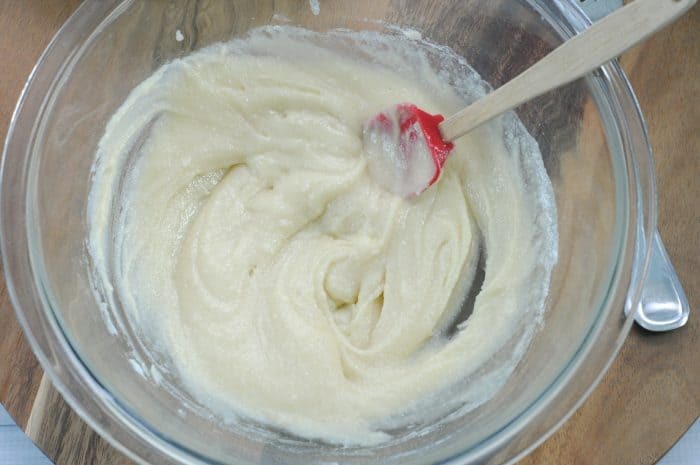 Spread the cake mix over the top. Add 1 cup of water to the bottom of the Instant Pot and place the small rack/trivet on the bottom. Cover the top of the spring form pan with foil and gently place in the Instant Pot. 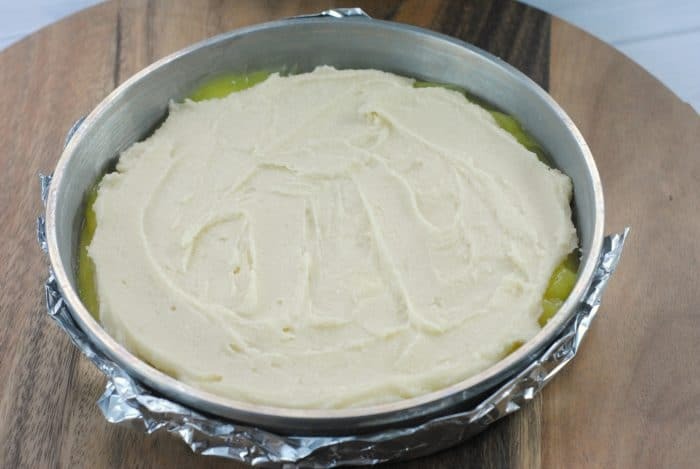 If you prefer you can use the foil to make a ‘sling’ and slide it under the spring form pan prior to placing in the Instant Pot and gently fold the sides up on top of the pan. 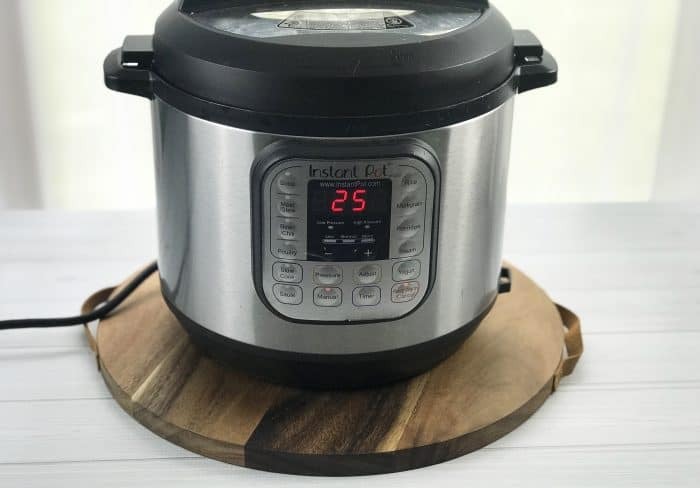 Place the cover on the Instant Pot, touch manual and then set the timer to 25 minutes and allow the valve to release naturally. Serve with vanilla ice cream (optional). 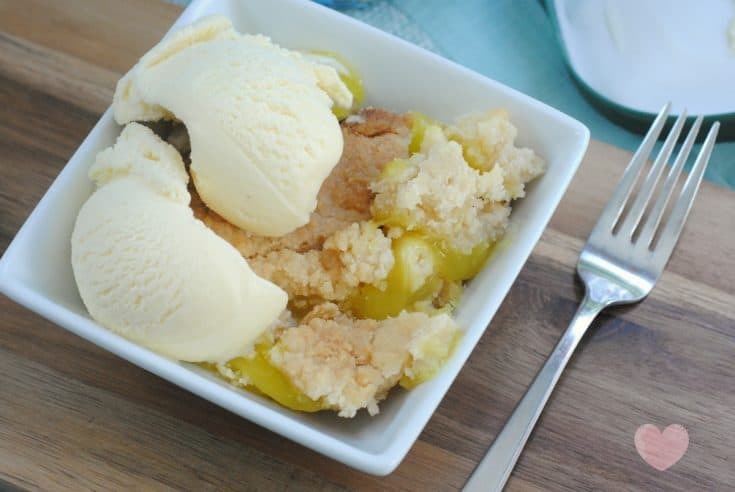 Super simple 3 ingredient lemon dump cake in the instant pot! 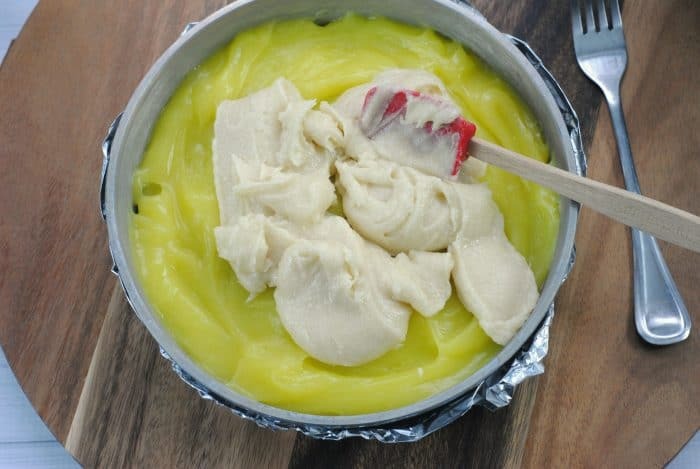 Cover the top of the spring form pan with foil and gently place in the Instant Pot.If you prefer you can use the foil to make a 'sling' and slide it under the spring form pan prior to placing in the Instant Pot and gently fold the sides up on top of the pan.